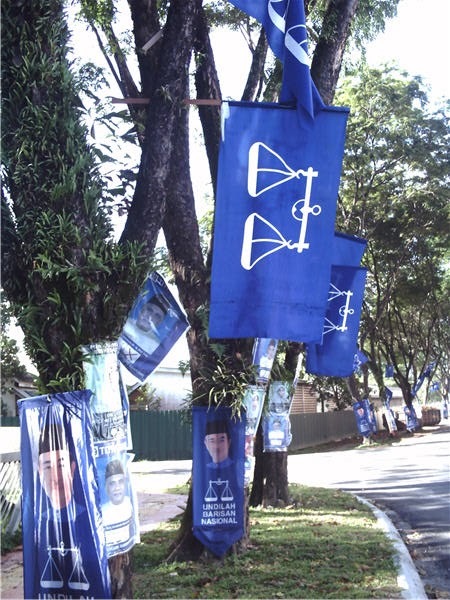 Election season in Malaysia can have the look of a carnival with colourful posters, flags and banners put up along the streets. In a tropical country almost uniformly hot and humid all year round - without winter, spring or fall - we manufacture our own seasons to make life less boring. As children my friends and I had our seasons ('musim') for football, badminton, fishing, and so on. The way party workers compete to dominate the streets with their posters etc, you would think that the candidates are given points for the quality and quantity of their street decorations. The opposition parties in Malaysia are used to losing. And this year - overall - they lost again, but they lost less badly. The least bad in 50 years! This has been a cause for celebration for the opposition. The opposition parties - PAS (an Islamic party), the Democratic Action Party (dominated by Chinese), and the National Justice Party - deserve praise for forging a multi-ethnic coalition. They will govern 5 of the 13 States, and I hope they will show that they can co-operate in government as they have out of it. The sad winners still govern the Federation and have already promised be more mindful of the voters. 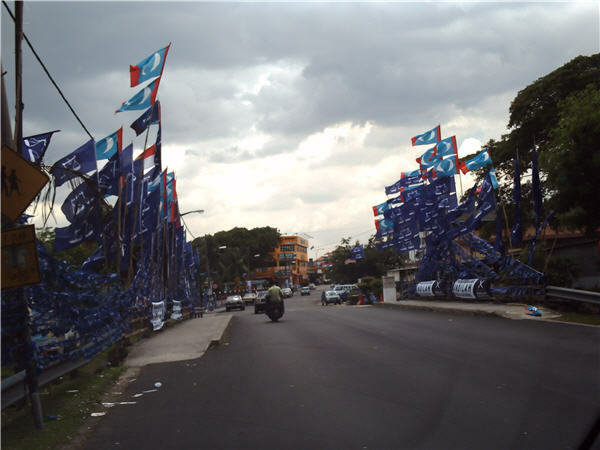 Next time I expect they will be more careful how they put up the flags of their party symbol: the balance of justice should never be so tilted.. Thanks for information! Svet and I enjoyed this article. We just ended our exciting elections in Russia! (Well not really very exciting). Seasons opposite up here. always on the cool side year around. Well Russia has had their few decades of living on the edge. So a bit of stability is not all bad.